Watch the three dimensional walk-through of some Melbourne School of Design spaces and explore the scans below: the B117 Theatre, Library, japan room and selected Applied Construction models within the student showcase. Scans from the atrium and building exterior is going to be completed early 2016. Please be aware the scans might take a couple of seconds to load. 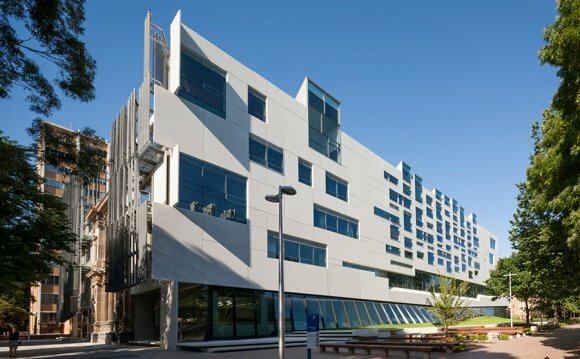 The Melbourne School of Design, situated in the center from the College of Melbourne’s Parkville campus, is really a condition-of-the-art academic facility, created by John Wardle Designers (Melbourne) and NADAAA (Boston) in collaboration. A sizable-scale laboratory for built atmosphere education and research, your building sets a brand new standard for design education within the Asia-Off-shore region. Your building was formally released around the eleventh December 2014, and Monday second March saw students starting the 2015 academic year within this spectacular new space. A modern day interpretation of traditional Japanese interior planning, we have had the MSD's Japanese Room scanned in three dimensional. Step inside for that virtual experience. We have had the B117 Lecture Theatre scanned in three dimensional, you can now step inside for that virtual experience. We have had the MSD Library scanned in three dimensional, you can now step inside for that virtual experience. Access videos and timelapse photos from the new building. The brand new building continues to be featured in media. The look by John Wardle Designers (Melbourne) and NADAAA (Boston) has gotten numerous honours in proof of its dedication to sustainability and eco-friendly architecture.